Since its inception, we are involved in offering a high quality range of Noni Juice to our credible customers all over the world. Noni Juice is manufactured under the strict supervision of experts and complied with set industry norms. 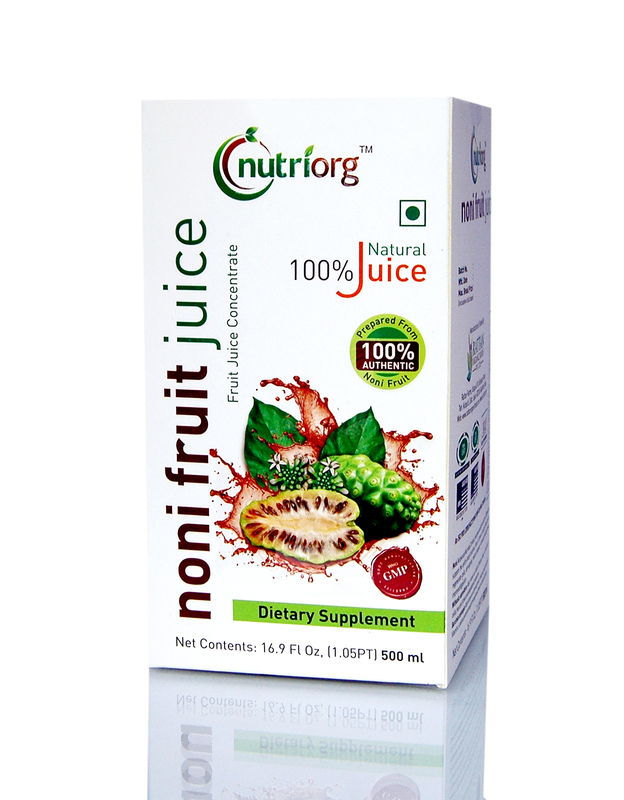 Noni Juice is an excellent source of potassium and helps in strengthening immune system, digestive system, metabolic system, tissues, skin and hair Offered product is beneficial for all age’s groups including youngsters and elderly people. The botanical name of Noni is Morinda Citrifolia. It is mainly found in the southern part of the country. It is generally of the size of a potato and can be white, yellow or green in color. The Tahiti community has been using noni from more than 100 years because of its health benefits. Noni contains zeronine which is found in human, animal and plant cells. It helps in effective functioning of human cells and also helps protein to function in a better manner in our body. Zeronine helps increasing the size of human cells so that the required nutritious elements can be absorbed easily. Noni is found to have therapeutic properties like antibacterial, antifungal, antiviral, antitumor, anti inflammatory and also has elements that improve immunity. It is an excellent source of potassium and helps in strengthening immune system, nervous system, digestive system, metabolic system, tissues, cells, skin and hair. Its usage is beneficial for all ages including youngsters and elderly people.